Perhaps the oddest port of entry along Hollywood’s odd-orific Walk of Fame is a small nondescript bankfront concealing The Church of Scientology’s museum dedicated to immortalizing the life and teachings of their late founder and sole avatar. Freshly scrubbed young people, smartly attired in vaguely naval uniforms, appear and disappear with an aura of determined concentration and high purpose from any number of entranceways that stud the exterior of this, the L. Ron Hubbard Life Exhibition --indicating some level of deep-tissue buzz, which may account for the slightly charged atmosphere of the surface stratum open to the public. Another contributing factor might be the continued antagonism between the Church and the Media, the Church and the Government, the Church and the Psychiatric Establishment, and the Church and the Public, most recently demonstrated in the protests over the rechristening of a local street as L. Ron Hubbard Boulevard. Embattled as they are, it’s no wonder the attendant church members project a slight aura of protective caution regarding outside visitors to the Exhibit. To view the collections of artifacts and multi-media presentations, you have to book an almost two hour tour which generally consists of you, whoever you have brought along for the ride, and your tour guide-- an intense diminutive Germanic woman in her fifties with a scary smile. They are nothing if not welcoming, but the anxious curiosity about your personal interest in Ron and his philosophy, and the highly structured and awkwardly intimate nature of the ensuing learning experience do little to dispel the edge of paranoia. This isn’t necessarily a bad thing though- it adds to the impression of importance that permeates the proceedings and their subject matter. In a series of remarkably well maintained and vigorously, if somewhat blandly, entertaining displays, the current version of the events in the life and accomplishments of Lafayette Ronald Hubbard, author, philosopher, educator, research pioneer, musician, photographer, cinematographer, horticulturist, navigator, explorer, and humanitarian, are unfolded in grand post 60’s user-friendly institutional style, alternating between vitrined artifacts of Ron’s mineralogical expeditions with mini-lite clotted maps showing his pre-pubescent Far Eastern peregrinations and accompanying MTV paced triple rear-projection slide show, against full-sized dioramas depicting crucial scenes from his early 80’s science fiction novels, complete with bombastically scored narration and primitive animatronics. In fact, most of the displays have bombastically scored narration, activated by the strangely vestigial coxswain, whose interjections are mostly limited to “Isn’t zat interesting?” or “Qvite an accomplishment for a boy that age, don’t you zink?”; at least until the faux-English garden housing oil paintings of scenes from Ron’s pre-Dianetic life: the associations with Tibetan shamans and Mongolian bandits, the pre-teen tutelage in Freud under naval psychoanalyst ‘Snake’ Thompson, the distinguished service in the navy of WW II which left him a blind cripple, and his subsequent miraculous self-cure, all rendered with a certain Magic of Oil Painting facility. Their well-rehearsed captions recited by the guide, the paintings are anomalous in their disarmingly lo-fi thrift-store presentation. Thus lulled, the visitor is lead into the former bank vault where a slickly produced half-hour film docu-drama on the genesis of Hubbard’s 1950 bestseller ‘Dianetics: The Modern Science of Mental Health’ is projected on a screen which emerges following the dramatic and deafening eruption of the 10 ft volcano diorama, with Laserium-worthy lava and smoke effects. From this point on, the biographical information presented in the tour becomes increasingly sketchy, focusing more on Hubbard’s philosophical accomplishments than his physical exploits, and avoids disclosing many details of the techniques involved in Dianetics and Scientology or how they were arrived at, preferring to bracket them with before and after testimonials and nebulously worded platitudes. The e-meter, a galvanic skin response thingy used as an aid to the ‘auditing’ of painful memories, is demonstrated by pinching the visitors arm as they hold a set of wired tin cans, observing a needle jump, asking the visitor to recall the pinch and watching the needle jump again. There is a lengthy explanation of some sort of business structuring consulting service which didn’t seem to have involved Hubbard directly at all, details on continuing rehab and outreach programs based on Hubbard’s teachings, and an endlessly unfolding wall of municipal testimonial certificates and the like, attesting to Hubbard’s’ acceptance by the City of Fresno, Italian Institute of Letters, the LAPD, and hundreds more. The Church of Scientology today claims some 8 million members including celebrities such as John Travolta, Tom Cruise, and Nancy Cartwright, and is a $300 million a year multinational business concern with centers around the world. Members proceed from the hypno-abreactive ‘auditing’ of repressed emotions through past life explorations to the reputed OT-III secret inner teachings involving the evil galactic overlord Xenu and his use of Earth 75 million years ago as a massacre ground and prison for Thetans, the Galactic Federation members whose disembodied spirits now cluster in our bodies like frightened demons awaiting their exorcism through advanced auditing techniques. Through all his endeavors Hubbard seems to have had only one goal - to convince as many people as possible by any means necessary that whatever he said was so, was so. Accounts of early acquaintances from his days as a pulp writer portray him as an enormously charismatic raconteur, carefully gauging his audience’s credulity as he spun his far-fetched autobiographical yarns, blusteringly offended should anyone point out a flaw or contradiction in his narrative. He would, on occasion, demonstrate his gift with stage hypnotism techniques. He read vociferously from the many self-help and parlor trick instruction manuals dealing with the topic. During his postwar association with Pasadena Rocket Scientist/Crowlean Magician Jack Parsons, Ron was exposed to potent consciousness alteration and group ritual techniques, as well as less pedestrian aspects of hypnotic control. To what degree these researches, along with his obvious debts to Freud and Korzybski, influenced the development of Dianetics and Scientology is a touchy issue. there was sufficient evidence to convince them, should they choose not to take his word, that the disputed adventures, research, discoveries, etc. had taken place just as he said. Not only that, but the details of this record shifted, seemingly moment to moment, for the entire duration of Hubbard’s career. Throughout much of his writing and the chaotic articulation of his dynasty, Hubbard was testifying that the construction of histories, both personal and collective, was entirely arbitrary, and that one could, by an act of will, exist so fully in the present as to render the past entirely mutable. For yourself and your friends. Now that’s scale. 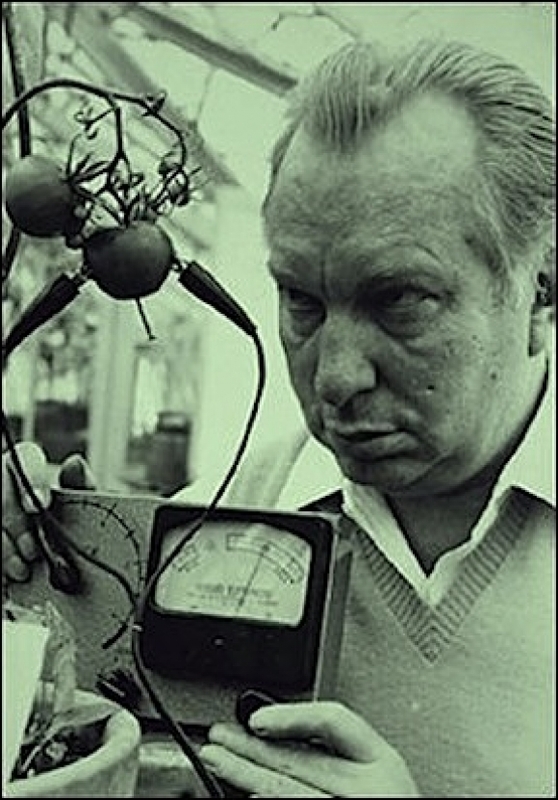 Hubbard’s contention that the CIA and medical and psychiatric establishments were involved in widespread mass consciousness altering experiments, primarily through controlling the distribution demographics of the world drug supply, are all the more plausible from the perspective of one who’s calling was essentially along the same lines, if to somewhat less prosaic ends. What are paranoia and conspiracies if not aspects of community, side effects of consensus? Or, in the hands of a master artist, tools for shaping consensus. Hubbard was relentless in his insistence that creativity was the unifying power mechanism behind all his stunts, and its clear that he understood that nothing is true or good without quorum. In creating history, his two main tactics consisted firstly of what is referred to in judicial parlance as lying, and secondly of the unto-psychotic refusal to break his poker face and back down to anyone about the veracity of his exploits as senior ranking naval officer in the pacific arena during W.W.II, his discoveries as a revolutionary horticultural scientist, or as a nuclear physicist with close ties to the Manhattan Project. In creating consensus, Hubbard took this refusal as far as he could, using tools and strategies accumulated through years of observing the point at which the scale tips from incredulity to re-imprinting. And the aesthetic governing the form of his creative spawn is stylistically consistent with and idiosyncratically expressive of a particularly 20th century American idiom - the aesthetic of pulp fiction, of course. The so-called border between Life and Art still gets a lot of play. Other cult operations, such as The Museum of Jurassic Technology and Center for Land Use Interpretation evoke enthusiastic endorsements from critics and public; the work of emerging artists like Tamara ‘Lambykins’ Fites or The Rev. Ethan Acres relies to a great degree on the artist’s persona and their sculpting of social space. Often these works raise touchy issues on the nature of consent, and probably shouldn’t be allowed to encompass much more of the public attention than they already do. Too many competing realities make life confusing for the average consumer. Still, the history of 20th century art is rife with examples of careers parlayed from the charisma of the ‘artist-as-conman’, inviting or demanding your consensual participation to a greater or lesser degree. Artists from Duchamp, Warhol, and Jeff Koons to Jeffrey Vallance, Linda Montana, and Joey Skaggs have relied on the destabilizing of their audience’s confidence in knowing what is real and what is not. It seems unfair that one of the most accomplished practitioners of this most au courant strategy (for by the mid 50’s Hubbard was taking it to extremes undreamt of in Kostabi World) should remain unacknowledged as his oeuvre decomposes. For since pushing the limits of artmaking beyond the map-blurring transgressions of Andy Kaufman into the creation and manipulation of consensus realities, Hubbard’s legacy has fallen prey to the universal inability of institutions to communicate information more complex than their lowest common denominators, and the editing process that inevitably results. Since Hubbard’s ascension in 1986, the Scientology organization has opted to withdraw and revise innumerable public versions of Ron’s life that seemed only fodder for derisive press and niggling lawsuits. In the Exhibit, for instance, there is no claim to LRH having been a nuclear physicist, a rocket scientist, or an operative for the LAPD or Naval Intelligence. Even his apocryphal childhood globetrots have gotten fuzzy at the edges. One elaborate audiovisual installation details his participation in the Hollywood film industry of the 1930’s, once said to have been quite extensive and influential, even including screenwriting credit for John Ford’s ‘Stagecoach’. While the tone of the display implies accomplishments of this renown, the bombastically scored narration only relates the embarrassingly puffed up account of Ron’s participation in a single low budget Saturday morning serial. Similar schizophrenically toned compromises abound throughout the church’s PR. The Church of Scientology, by quietly modifying the parameters of Ron’s autobiographies towards a more conventionally convincing level of grandiosity has, quite unconsciously, entirely undercut the central unassailability of its authority, namely the refusal to concede any point of debate no matter what the evidence against you. For the museum to function as an analogue to Hubbard’s genius, it would need to rely on a deep vein of faith in the pre-rational, then insist and expand on every claim he ever made. By instead electing to move the argument into a ‘Let’s be reasonable’ venue of plausible deniabilities and relative falsehoods, the Church has forfeited their wild card. Without it, it’s a garbage hand. The L. Ron Hubbard Life Exhibit emerges as a monument to the crumbling interface between a defensive disoriented canon and the original vision that it falsely believes it embodies. What it embodies is a dissonant interference pattern between the levelheaded non-gifted post-Ron management of a lucrative new age pop-psychology franchise and the quixotic and frightening vision of one of the greatest American artists of the 20th century. Doug Harvey is a rocket scientist.